Safety issues in the workplace still occur even with modern technology and safety programs in place. It doesn’t matter what type of work you do, there will always be hazards to be aware of. 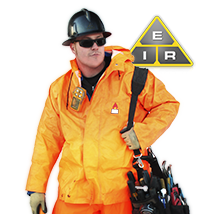 Some occupations, such as industrial electricians, are more dangerous than others. People in these fields need to practice extra care and caution. Working with electricity is one of the most hazardous occupations. Electricity always tries to find the quickest route to a ground. In safe conditions, this would be along the cord or wires that contain it. 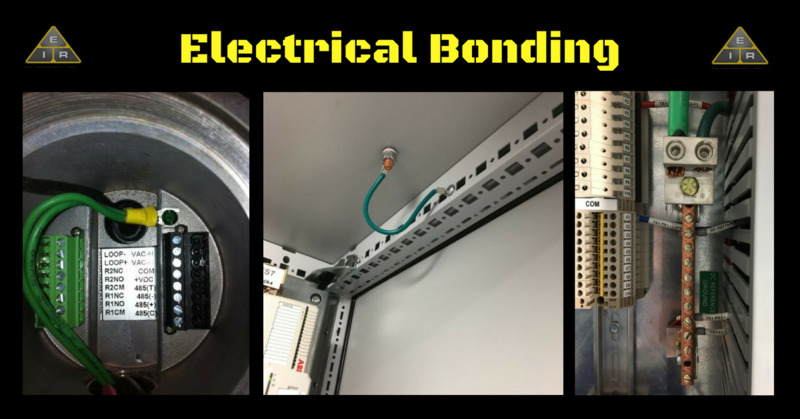 If there is a break in the cord or wire, it will find whatever it can, metal, water, wet wood or you. Humans are great conductors. If you come in contact with a wire or a faulty power tool while grounded, the electrical current will pass right through your body, seeking a ground. This causes a serious, sometimes fatal shock. It doesn’t take much wattage to do serious damage. One 7.5 watt Christmas light has the power to kill you if it passes close to your heart. 100-200mA very painful, ventricular fibrillation of the heart, it is most often a fatal heart condition for which there is no known remedy or resuscitation. Chances are you’re DEAD! Most safety issues in the workplace arise from carelessness. Before you begin working with electrical equipment, check all cords and connections for possible wear. When working in wet or damp conditions, make sure your tools and extension cords are rated for these conditions. 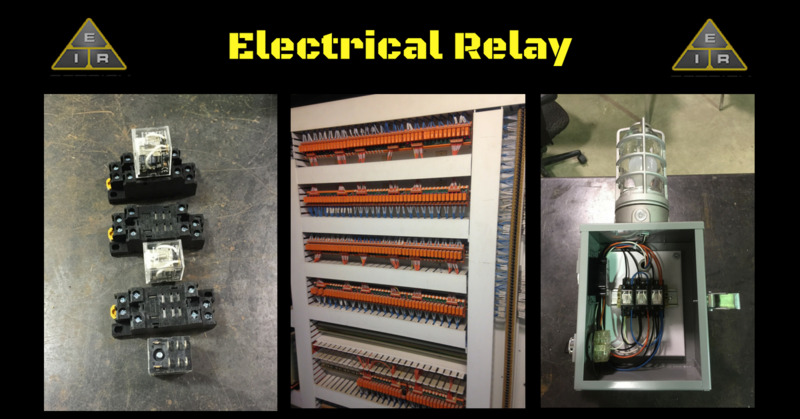 Always use circuits equipped with ground fault circuit interrupters. These are specifically designed to prevent shock. Make sure all cords are free of oil and corrosive chemicals and not warm to the touch. Never yank a cord from the socket. Never kink or bend cords. Always unwind them completely before use and store cords loosely wound in a dry place. Never tote power tools around by the cord. The cord should be wound around the tool or in a loose circle when not in use. Make sure power tools are in the “off” position before plugging them into a power source, and before unplugging after use. Always keep cords behind you, and away from the cutting end of the tool. 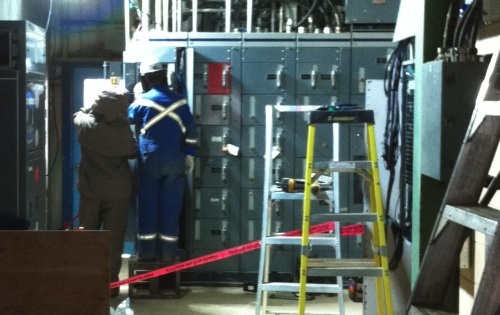 When reaching inside equipment, be aware of any areas that may be energized. To keep workers safe, companies use a lock-out/tag-out system. 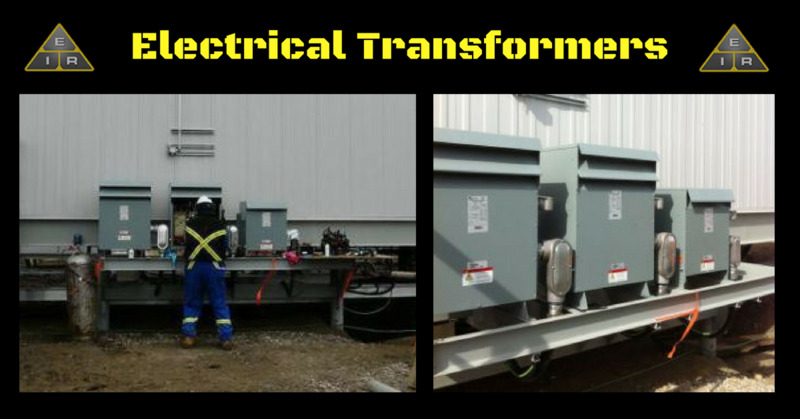 When working inside heavy equipment or large machinery, another worker may not see you, and inadvertently turn on the power. The lock-out/tag-out system is to prevent this from happening. 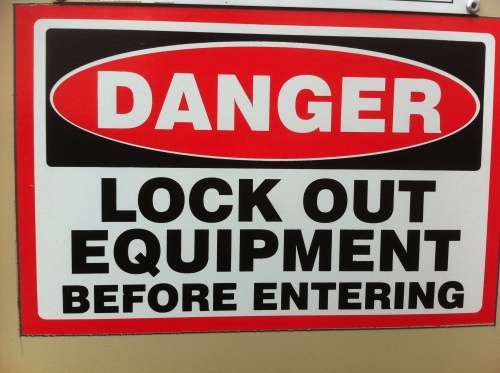 Others will see the lock-out sign or tag and know that you are in there working on the equipment. Make sure you know the proper procedures used in your particular workplace. Never cut corners. Even if you think you will only be in there for a second, and it will take longer to lock-out than to actually do the job, take the time to lock-out the equipment properly. That is why they are called accidents. We never intended it to happen. It is always better to be safe than sorry. 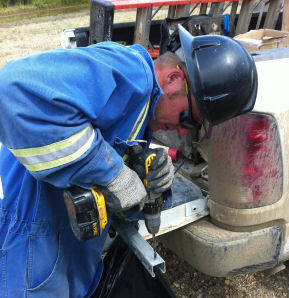 One of the biggest safety issues in the workplace is people not caring for the equipment they use. So you dropped the power saw in a mud puddle. You don’t have time to clean it up, right? Wrong. Dirt and moisture increase the chance of electrical shock. Always take care of your electrician tools. Keep them clean and dry at all times. Keep your workspace and storage area clean and dry, as well. Always make sure the power tool is unplugged during cleaning, and follow the proper cleaning procedures as outlined by the company or the manufacturer of the equipment. Being truly safe means you have to practice safety at all times, not just once in a while. When you make safety a habit, it becomes second nature. Without even giving it a second thought, you will naturally coil cords the right way, you will automatically use the lock-out procedure, and you will constantly be on the lookout for any possible dangers. When you spot potential safety issues in the workplace, report it and inform others working in the area. If you are qualified, correct the situation immediately. If you are not qualified, do not even try to fix the problem. Not only will you put yourself – and maybe others – in danger, you could make the situation worse. Most electrical injuries can be prevented when safety is a habit. 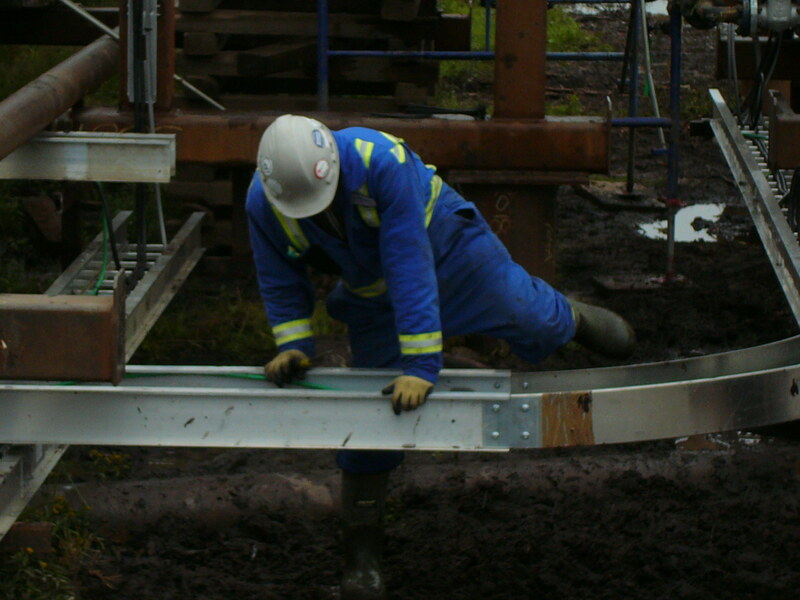 Many people just do not pay enough attention, causing safety issues in the workplace. After you have been doing a job for so many years, you tend to cut corners and not be alert to hazards the way a newbie does. Of course, there are electricians who get injured in their early years, but in most cases it is the experienced worker who lets his guard down. Do not let anger or frustration cloud your judgment. So you have been trying to get this one little piece of equipment to work properly for hours and it will just not go. Take a breather. Relax and calm down. Frustration is the breeding ground for disaster. Shortcuts are the quickest route to injury or death. You may think you can get the job done faster if the safety guard didn’t keep slowing you down. Taking off the safety guard is asking for trouble. It was not put there for good looks. It was put there to keep you safe. Keeping your equipment and working area clean and dry, and inspecting cords and equipment before you use them might take a bit of time, but it is time well-spent if it means saving your life. Safety is every one’s responsibility. Watch out for yourself and others at all times. Safety issues in the workplace may one day be a thing of the past if everybody is more careful and respects the working environment.